Are Ford Drivers Excited for the Aluminum 2015 F-150?? 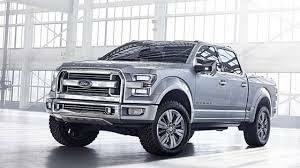 Earlier this year, Ford made headlines by releasing details about their plans to release a new aluminum bodied 2015 F-150 model. According to Ford, the aluminum body would help to cut 700 pounds off of the truck’s weight, increasing fuel efficiency for drivers. Would an aluminum body cost more? Would it be as durable? Would repairs become more difficult? Looking for answers, global research firm UBS conducted an independent study to see how drivers actually felt about Ford’s recent transition. In the study, UBS found that the majority of drivers were not opposed to the aluminum transition. In fact, if anything, they were intrigued. And based on all of the reports and testing and information, this truck DOES seem top notch. In addition to all of that, the new F-150 is priced comparably, only adding $600 in premium fees. This entry was posted in Culture and tagged aluminum, consumers, f-150, ford. Bookmark the permalink.